MediScan launched an advanced simulation lab for providing hands-on training on Obstetrics and Gynaecological Ultrasound for Doctors. This is the country's first of its kind transabdominal and transvaginal Obstetric Utrasound simulation centre for ultrasound training. 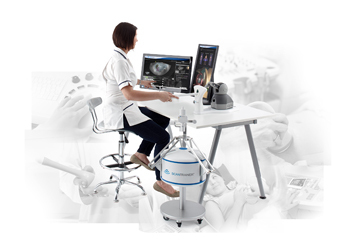 The advanced ultrasound skills training Simulator-Scan-Trainer was launched with support from Intelligent Ultrasound. inaugurated the facility on Saturday, the 3rd March, 2019. This facility is made available for Doctors to do a good ultrasound and assess them. This will be similar to training with a patient. "According to survey, 60% of women in India get an ultrasound done during pregnancy. We aim to make it a 100%." The International Society of Ultrasound and Gynaecology has created a four day basic training curriculum. As part of this, Doctors will be given hands-on training on the simulator before they scan patients.